Roya has had a passion for hair for as long as she can remember; to say the least, she loves everything about it. As a little girl, Roya would style all of her friend’s hair, and knew from that point that being a stylist was what she wanted to do with her life. Nothing makes her happier than a happy client. Roya studied and earned her license at the Career Academy of Beauty. She started working right away at Carlton Hair back in 1998, and then moved on to the Lujon Salon in Fullerton where she was a top stylist for 14 years. Roya is a specialist in color, everything from full color transitions to highlights and lowlights. Roya also has a passion for makeup and has taken professional classes at MUD Makeup School and through MAC Cosmetics. She has done hair and makeup for various print and media campaigns, as well as weddings, special events, and holidays. 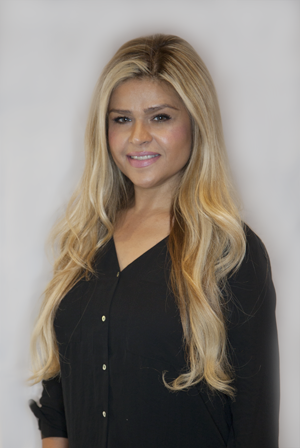 Book your appointment with Roya at our Ladera Ranch, Orange County hair salon!